Although it was a bit overcast this morning, the sun was still shining on Hog Island and the mountains beyond. The lake was still and already, some incredible fall colors reflecting off the lake. For those of you who enjoy the ride up US Route 201 to see the incredible fall foliage unfold before your eyes, fair warning, you better hurry! The colors are changing fast. I do believe peak foliage is upon us. 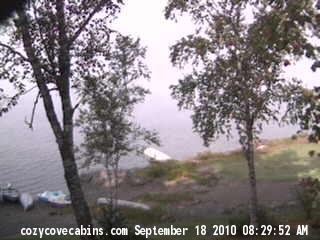 Yes, that is a nice layer of fog over the lake. We cannot even see beyond the dock. 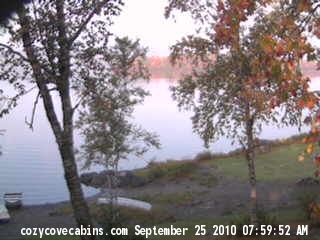 It is about 40 degrees this morning but the sun is trying to come up so the fog is lifting. 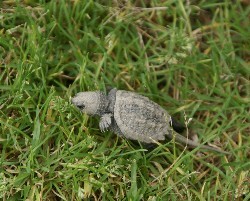 This is just one of them which is only about 2 inches. We cannot figure out where mom nested them but honestly, I am surprised that the neighbor cats did not capture the eggs…or maybe they did as we only saw 3 of them. 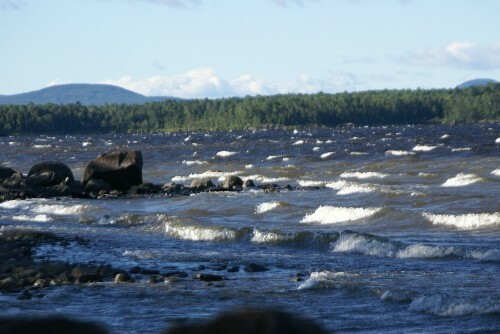 We are so grateful to be here to be away form the rat race and enjoy the wilderness of northern Maine. 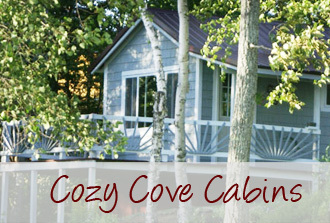 We absolutely love Jackman and Cozy Cove Cabins. Hiking, Kayaking, rock climbing, 4-wheeling, and bear hunting. All have made for a wonderful experience, all the while getting plenty of rest. This trip has breathed new life into us and for that we thank our God in heaven and we thank you Tami and Steve for making our stay here very enjoyable. we had a great stay: great weather, great trails, great scenery, and great people. SO much to do so little time. Well definitely be back.